Boston is the state capital and largest city in Massachusetts, and the largest city in the New England region of the United States. As of 2006, the city had an estimated population of 590,763. Moreover, the city of Boston lies at the center of the Greater Boston metropolitan area which is the country's 11th most populous metropolitan area with a population of over 4.4 million people. Boston is internationally famous as a center of academic, teaching and research activities, and is sometimes known as the "Athens of America". There are more than 100 colleges and universities within the Greater Boston Area, and more than a quarter of a million students attend colleges in Boston and Cambridge. 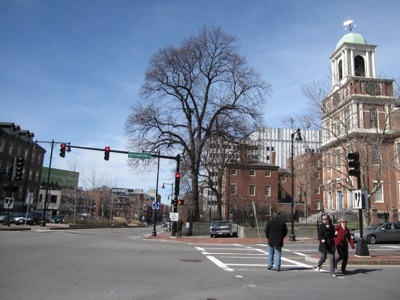 Within the city of Boston itself is Boston University, and Harvard University and the Massachusetts Institute of Technology (MIT) are located in Cambridge. Boston is home to quite a number of musical and performing arts groups, and there are also a number of ornate theaters in the city. Additionally, there a number of annual events which take place in the city, including First Night (an outdoor artistic and cultural celebration whch is held on New Year's Eve, several events on July 4th, and Italian summer feasts held to honor Catholic Saints.